People want you to worry about a lot of things when it comes to food, especially when we’re dealing with sanitation. It’s totally reasonable for us to want to consume fewer chemicals that go into the fruits and vegetables we eat—case in point, pesticides. As you can imagine, pesticides pose a serious health hazard to consumers. According to the Centre for Science and Environment in India, pesticide components like chlordane, endrin, heptachlor, ethyl, and parathion can cause serious neurological problems, kidney damage, skin diseases, cancer, and other diseases. Thankfully, we can easily rid fruits and vegetables of pesticide residue using one common home ingredient: baking soda. As if baking soda can’t get any better. 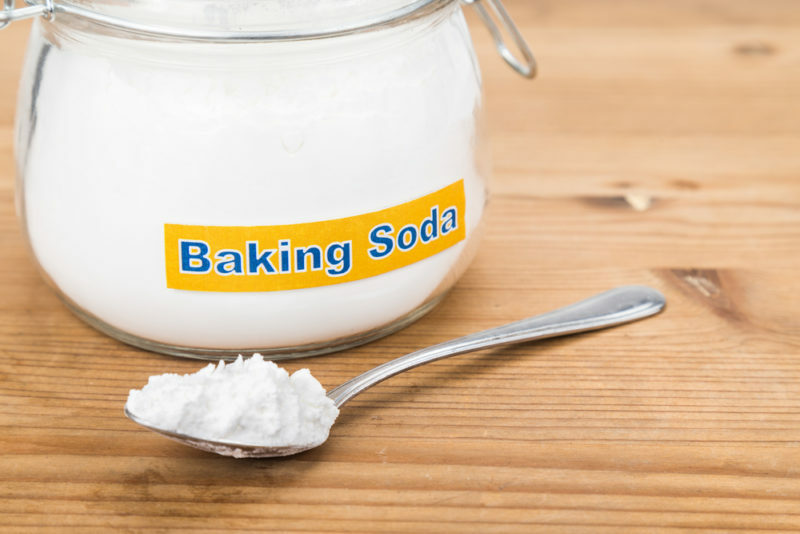 If you’re clueless about the wonders of baking soda, then I suggest you read up. Normally, water can remove traces of pesticides from fruits and vegetables, depending on the fruit. For example, Gala apples are treated with wax for extra shine, so it would take more than water for you to completely clean them. What you can do is to make a simple solution of baking soda and water and let the apples sit there for 12 to 15 minutes. In this study from the Journal of Agricultural and Food Chemistry, sodium bicarbonate can degrade two types of pesticides: thiabendazole (used to treat threadworms and pinworms) and phosmet (used for apple trees to control codling moth). You can always choose to buy organic, although some still use—albeit less toxic—pesticide. It’s unclear how worried we must be about the amount of pesticides in our food, but it doesn’t hurt to take the extra mile to make a baking soda wash for good measure.